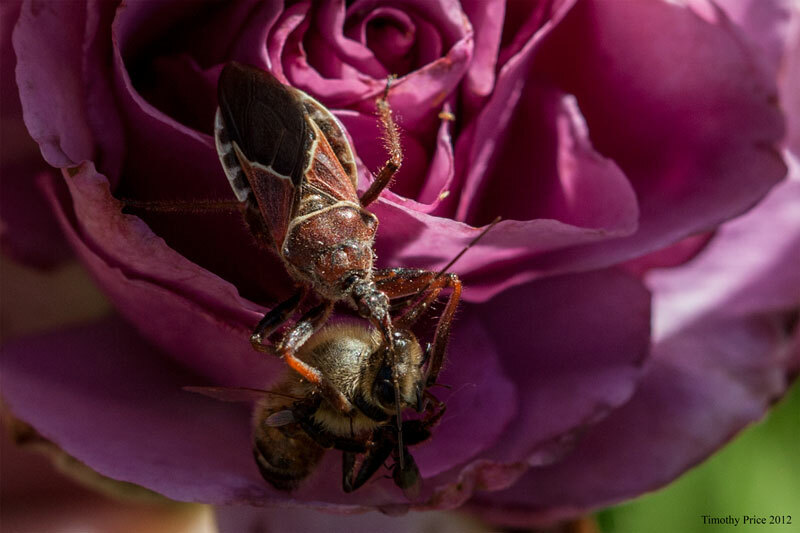 I had seen bee assassin bugs around, but I didn’t know what they were or pay much attention to them until this afternoon when I found this one sucking the vital life fluids out of a honey bee. When I looked it up on the Internet, I discovered the obvious. Its full name is Reduviidae Bee Assassin Bug. 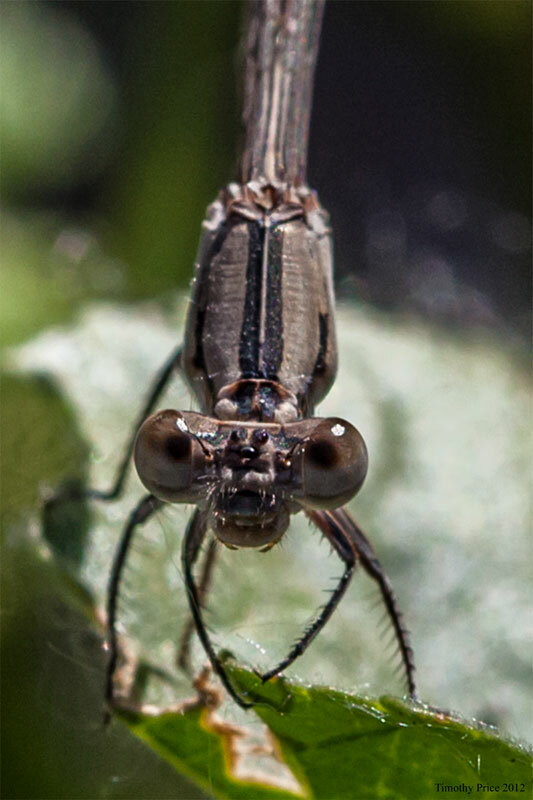 Damselflies are nice subjects because they don’t seem to mind the camera. Actually, I think they might be able to see their reflections in the lens because they posture and flutter their wings when I put the lens in their faces. Most of the dragonflies are a different story — the black and blue winged dragonfly in the last photo kept buzzing me, but it would not land anywhere near me. 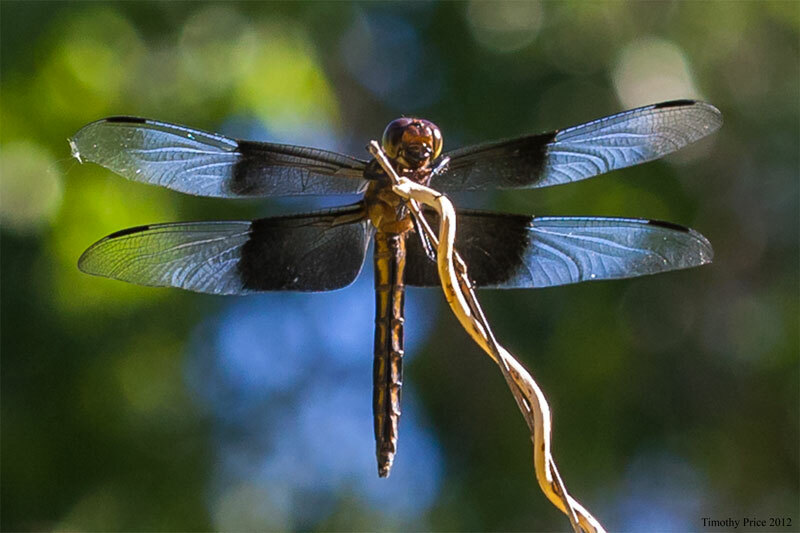 The photo was taken with a 100 mm macro lens from 15 to 20 feet away, so I had to really crop the image to make the dragonfly fill the frame.